A corroded Iron Key to the locker on the Titanic was sold at $104,000 in an auction that held yesterday. The key originally belonged to Sidney Sedunary, who was a 23-year-old Ship’s steward. Sidney was one among 1500 people who died when the state of the art passenger liner struck an iceberg and sank during its maiden Voyage between England and New York. The key was sent to Sedunary’s wife after his body was recovered. 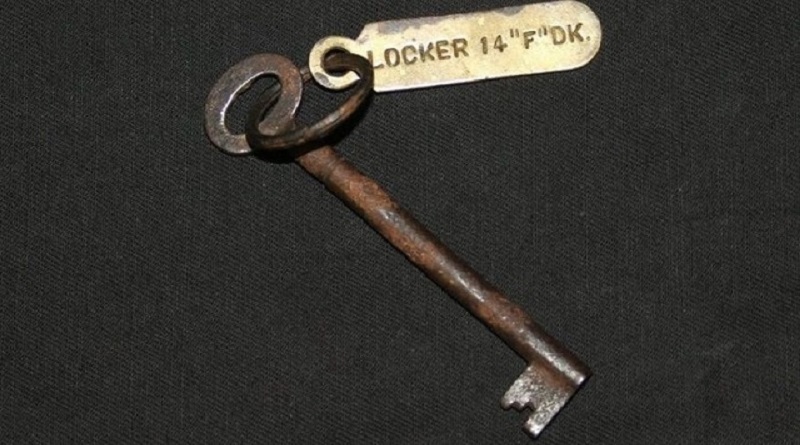 They key was attached to a brass tag stamped “Locker 14 F Deck”. In 2013, A violin which was believed to have been played in titanic was sold for more than 1 million pounds.